Azon Recruitment Group (“Azon”), which incorporates Azon and AES International recruitment brands, is a recruitment company registered in Ireland, company number 542734. Azon has designed its website to provide information to visitors about our business and services. At times we will collect information about your visit and combine this with other information to understand how all visitors use our site. At other times we will collect personal information about you, for example your email address and Curriculum Vitae (“CV”) details. This policy explains how we use these types of data. Gathering information and statistics on all of our visitors to our Website enables us to understand what content visitors are consuming and what they are most interested in on the site. This data is analysed and used to improve our website and deliver a better service to our visitors. We collect domain names and IP addresses of our visitors’ Internet Service Provider, but no personally identifiable information is revealed during this process. By sending us your CV you are indicating your permission for Azon to process your personal details in the manner described below. 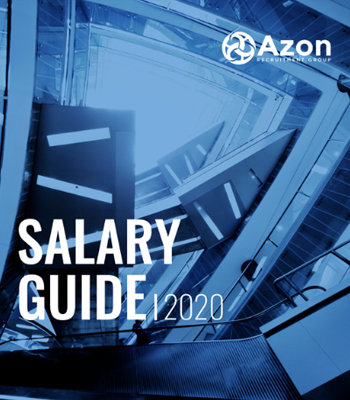 Azon may invite you to submit personal information about you through, for example, the “Apply to this Job” section on the website. The information you provide us will normally include name, address, email address and other relevant information and may include sensitive information such as salary, any criminal convictions and ethnicity. market products and services directly to your personal email address. Azon is an international recruitment firm with offices located in Dublin, Limerick and London. We process data using secure cloud applications which are accessible by our Firm to enable your information be accessed internationally for the purposes of analytics, development and testing and to provide recruitment services where you have expressed an interest in a location outside that in which you are resident. Within the scope of the purposes outlined above, we may outsource collected personal information to outside contractors/third parties. If we do so, we will take contractual measures to ensure that they process your data in a manner consistent with this Policy. For those companies who operate in countries which do not offer a level of data protection equivalent to the high standards that exist in Europe, we take contractual steps to ensure that the same high standards apply. If we merge with or are acquired by another business, we may share personal information with the new owners of the business and their advisers, you will be sent notice of such an event should it occur. Please click on this link to learn more about the cookies we use. We may provide links to third party Internet sites and clicking on these links and/or banner advertisements may take you to other websites. Azon is not responsible for the privacy policies of these sites and visitors will need to refer to them specifically. Once you have provided your email address we will keep in touch by email to let you know about insights, industry news and events. Should you decide you’d prefer not to receive these updates, please use our unsubscribe email. Alternatively you can contact us at any time at dataprivacy@azon.ie and if you provide us with your email address and contact details we can unsubscribe you from further contact.